Everyone knows about the cookbook that I wrote with Mummy…and everyone knows how much I love to HELP HER in the kitchen too. 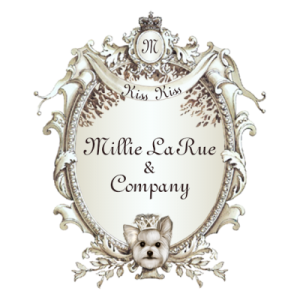 We will post lots of recipes here on my blog, for both people and pups, in the hopes that everyone can experience the joy of COOKING WITH THEIR FUR-BABY! Here we have prepared some yummy breakfast scones that the family can enjoy any time of the day. Mummy and I hope that you will try them…they were super easy to make but taste very professional! Your family and guests will be VERY IMPRESSED. 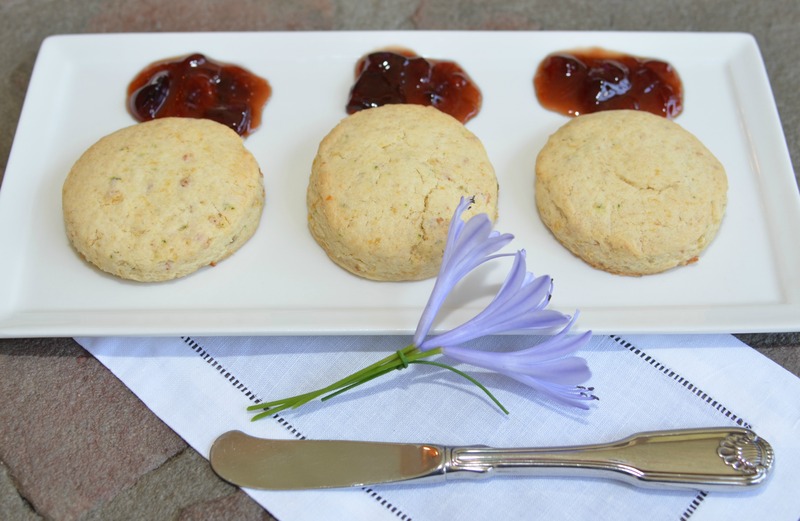 Try these Lemon & Thyme Scottish Scones with a little bit of delicious jam. 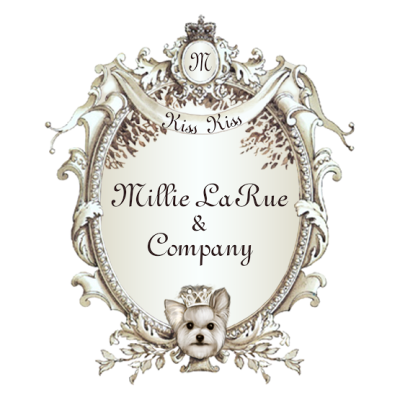 You can find lots of wonderful new jams in my little boutique….just click on the BOUTIQUE TAB on my homepage and check them out. Our family has sampled ALL of them and each one comes highly recommended! Preheat your oven to 400 degrees. Combine the flour, sugar, baking powder, salt, lemon rind and fresh thyme in a food processor. Slowly blend in the butter until the mixture looks like coarse bread crumbs…be sure not to overmix this! In a small bowl, beat one of the eggs and add to the flour mixture. Stir in the raisins and the cream and mix only until it forms a ball. Turn it out onto a floured surface and knead about 10-12 times. Roll out about 1/2-inch thick and cut into circles. Place on a greased cookie sheet or one lined with parchment paper or a silpat mat (I love the silpat mats, myself…you can get these at Bed, Bath and Beyond and they last forever!) Beat the remaining egg and brush the tops of the scones with the beaten egg…you can sprinkle with a tiny bit of sugar if you want. Bake for 10-12 minutes or until golden brown. Cool on a wire rack or serve them warm right from the oven. These are so easy to make and you will love them with a dot of butter and jam! ENJOY!